Drugstore foundations today have come a long way. Before, buying foundation makeup or any type of makeup product from the drugstore was a difficult endeavor. Now companies in the cosmetics industry are producing better makeup products because better resources are available – for example, improved technology and more effective and efficient market research. While sometimes it can still be difficult getting your perfect or reasonable foundation match the selections available today are better compared to the selections available years ago. This improvement has resulted in some foundations at the drugstore being better than those available at the department stores. From experience, some drugstore foundations outperform department store brands or perform on the same level as department store brands. In terms of prices, drugstore foundations are relatively cheaper than department store foundations. Department store foundations are usually three or four times the price of the drugstore foundations. Does that mean that the department store foundations are better because they are more expensive? Not necessary, from experience some foundations perform poorly no matter what brand or cost, so it all depends on the type of formula and an individual’s skin type. A foundation that might work very well for one individual may not work very well for another. It really depends on individual circumstances, so avoid over-spending on high-end department store foundation makeup and makeup in general if you don’t have to. Nowadays some drugstore foundations perform just as well as high-end department store brands. 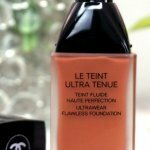 There are several department stores and drugstore foundation makeup that are dupes for each other. 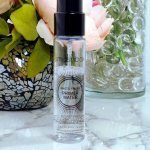 If you search on Google, you will find several posts discussing similarities between some department store and drugstore foundations. A perfect example is Estée Lauder® Double Wear Stay-in-Place Makeup and Revlon® ColorStay. These two foundations are very similar. 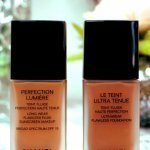 I have tried both foundations and they both perform the practically the same way. A few differences include: (1) Revlon ColorStay is about $27.00 cheaper than Estee Lauder Double Wear Stay-in-Place Makeup. (2) New bottle of Revlon ColorStay Foundation has a pump, unlike Estée Lauder Double Wear. (3) Estée Lauder Double Wear Stay-in-Place Makeup tends to control oil slightly better than Revlon ColorStay. (4) Double Wear Stay-in-Place Makeup has more shades than Revlon ColorStay. (5) Additionally, Estée Lauder has done a great job expanding the Stay in Place foundation line. Last year they added new shades to that line. Depending on your skin type and preference these differences might mean a lot to you thereby determining which product you buy. However, if you can’t find your shade in Revlon ColorStay and you are willing and able to buy the foundation from Estée Lauder, you will not be disappointed. But, if you can find your shade in Revlon ColorStay buy it, and save your money. 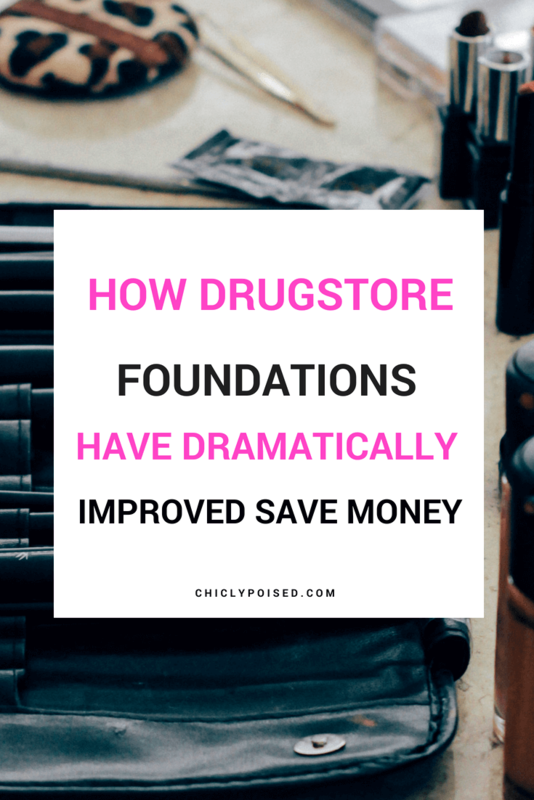 So before you buy expensive high-end department store foundations do a little research to find out if there are similar foundations at the drugstore that meets your needs. Depending on your needs you may be highly surprised and satisfied with what you find. Note application techniques play a huge role in how your makeup looks after application. From personal experience, you can buy the best high-end foundation and still look a hot mess after application. So focus some of your energy on practicing applying your foundation. In the long-run, this will help you discover what works for your skin type and what doesn’t. Consequently, the more knowledgeable you are about foundations in general, how your skin reactions to different types and the overall appearance on the skin after application the more prepared you’ll be in choosing the right high-end foundation for your skin type. So until then check the drugstore out and sample a few you will be surprised by how amazing some of these foundations perform.